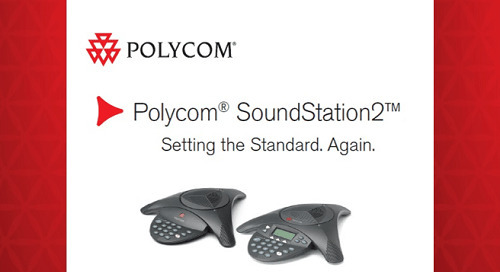 Business quality conferencing with Polycom SoundStation2. 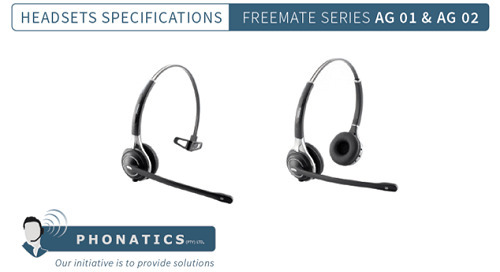 Freemate AG 01 & AG 02 headsets are available in mono and duo options. 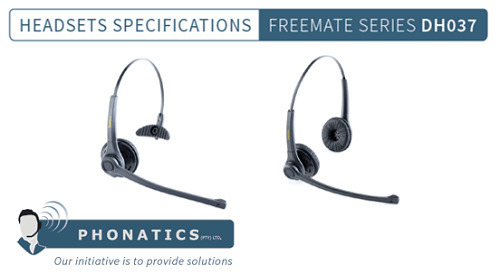 Freemate DH037 headsets are available as single ear and duo ear. 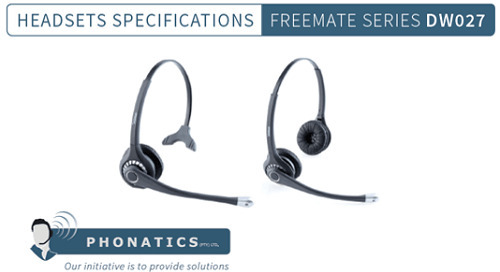 Freemate DW027 headsets, single ear and duo ear options. 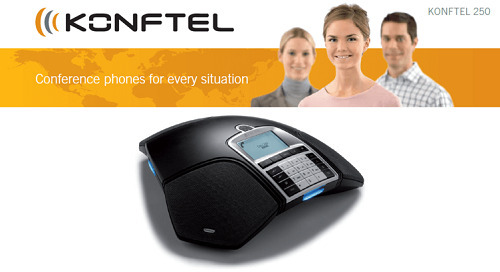 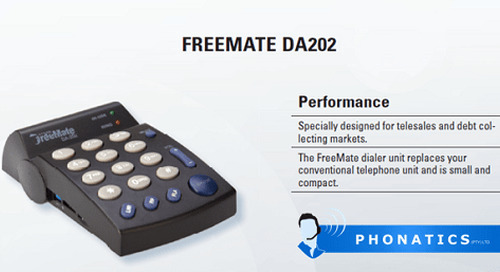 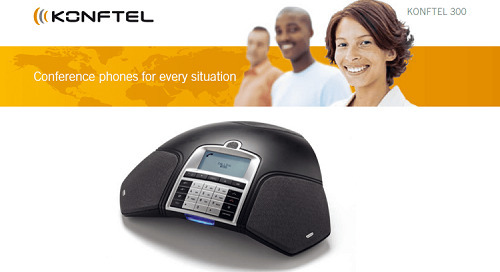 Freemate DA202 Dialer Unit, specially designed for telesales and debt collectors. 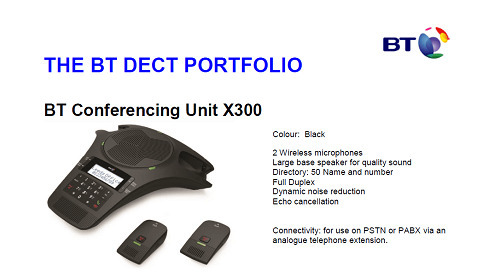 The Agent AU-2 is a dual ear noise-cancelling headset with USB connection. 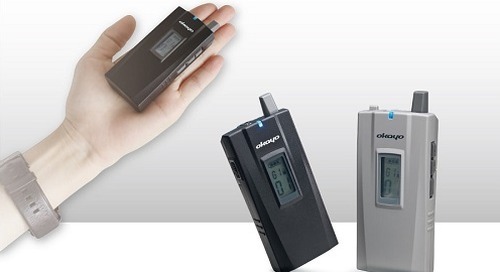 The Agent AU-1 is a single ear noise-canceling headset with USB connection.